African violets come in assorted varieties. Often thought as a high maintenance plant to grow and care for, here are a few steps to help you along the eay to growing a beautful plant for years to come! 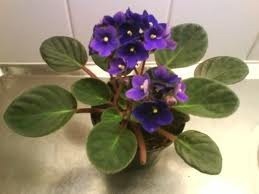 Just like humans the african violet flourishes in comfortable atmosphere’s. Begin caring for your plant by keeping it within temperature’s of 60* F- and 75* F.
Lighting is essential to your plants health. A sensitive flower, remember that too little or too much light can kill the plant. In summer: Place plant in exposed light that comes from either the east or the north. Winter months mean giving your plant just a little more attention than it’s going to get with light. Try using incandescent or fluorescent lighting from the southern direction. In fall and spring: shade the plant from direct sunlight all together. African violets do best in humid atmosphere’s. Keep soil damp but do not over water, use lukewarm water. When watering, use caution as to not get the leaves wet. An easy way to keep soil moist is in selecting a pot that you can feed water too at the bottom. Some pots are designed to hold water in the basin and never touch the plant. If you do not have one of these or cannot afford one, use a pot – placing it on a saucer and creating some distance between saucer and pot by either using rocks, or wet napkins. During summer, spring and fall use a fertilizer stick for plant. Give it time off in the winter and skip fertilizing! When is it time to re-pot? When the leaves and flowers grown beyond 1/3 of the pot, it is time to replant. African violets bloom best when their roots are crowded, so when replanting use care in removing only damaged roots, leaves and flowers- but remove them all. 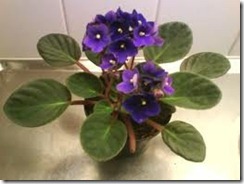 Repot an African Violet in spring or early summer. Replace old pot with a larger one. Uproot, clean up and repot. Moisten soil and watch your plant grow!